and season-fresh food have been widely enjoyed. 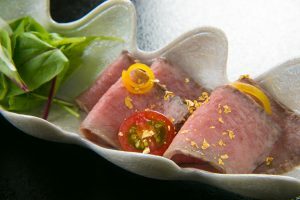 Hida beef play are simply two signatures in our cuisine. 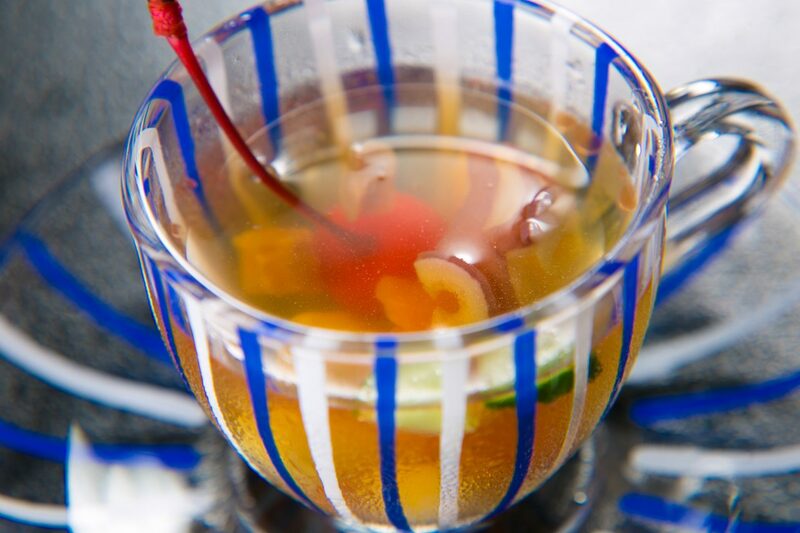 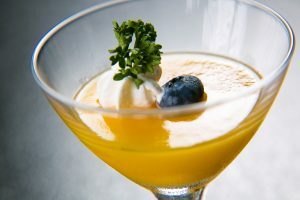 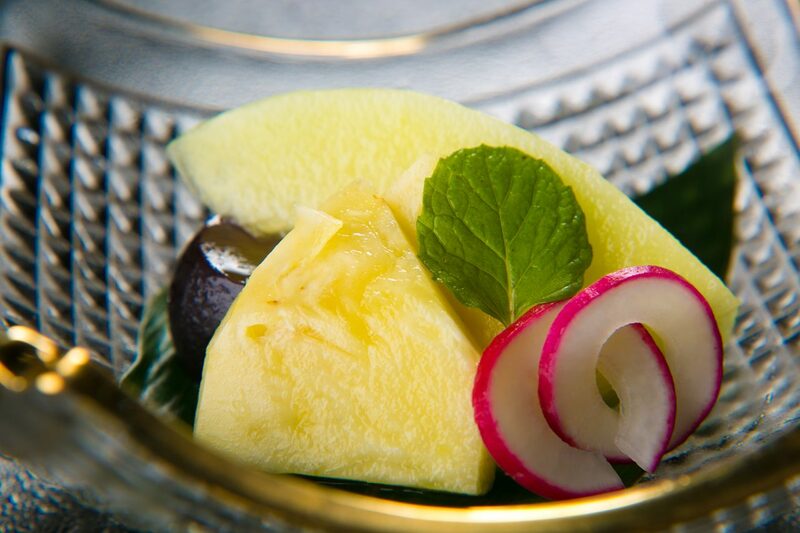 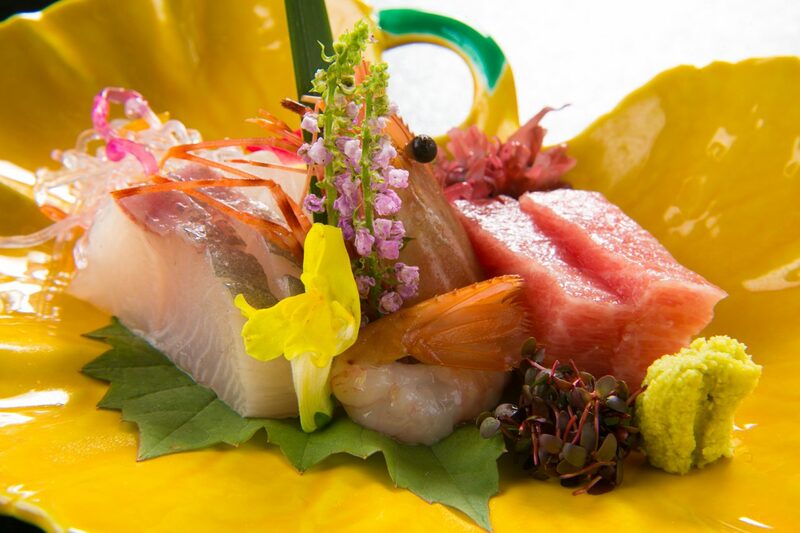 We serve you the very best out of the great variety of fresh food with Hida local sake according to the seasons. 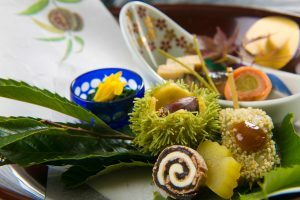 Hida Takayama is the rich resources for different food ingredients in different seasons. 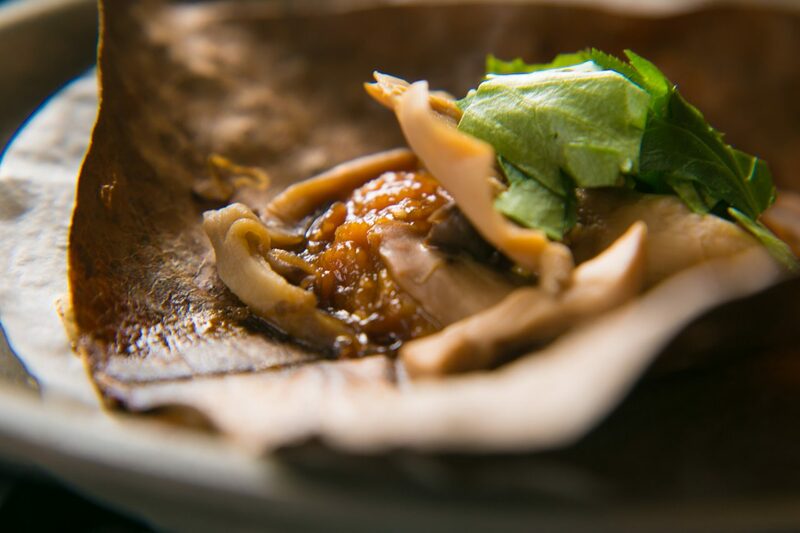 These local ingredients simply make your an dining experience unforgettable and promising. 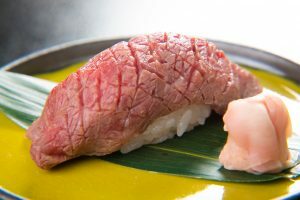 Local farmers take care of Hida cows in the natural environment. The quality and taste of Hida beef makes it one of the best types of Wagyu beef. Hida beef is famous for its beautiful marbling pattern, juiciness, deep flavour and sweetness. 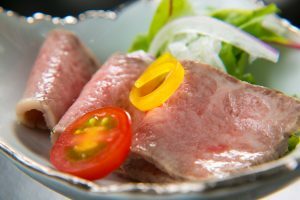 Our top beef supplier brings the finest quality meat to us. 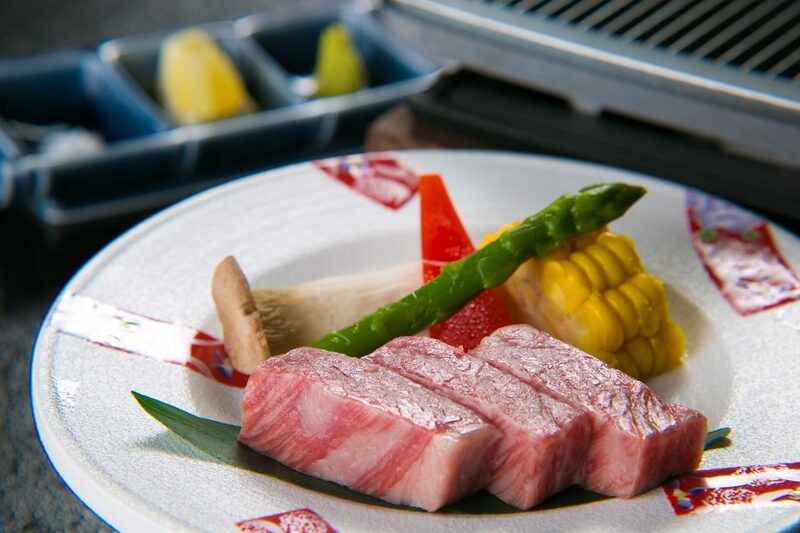 And be amazed by our signature specialty, lava cooked Hida steak. Surrounded by mountains, rivers that run through Hida Takayama, the clear water and thus the fish are presents from the nature. 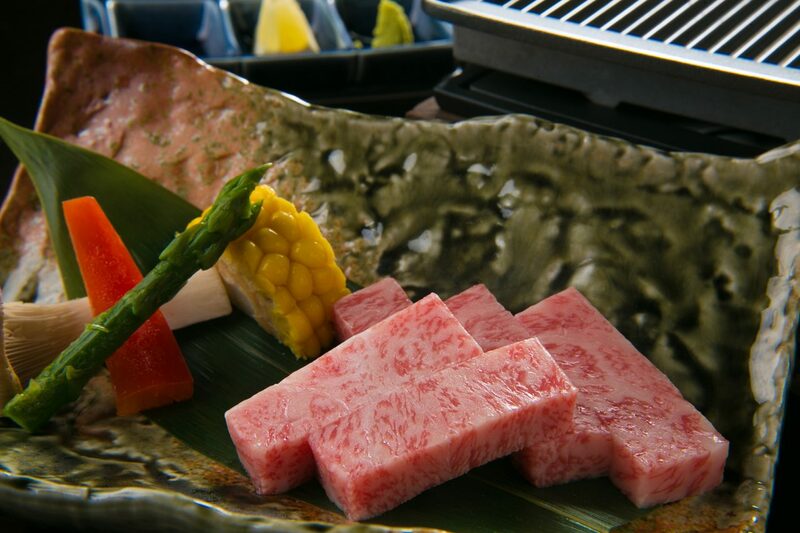 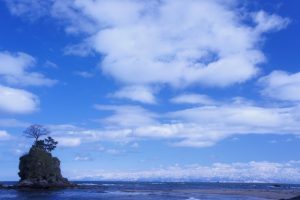 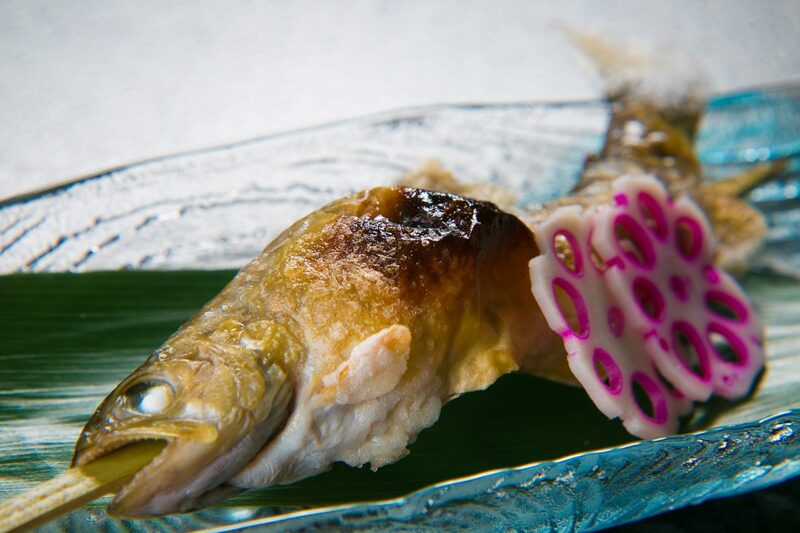 Fish from these rivers such as natural ayu (sweet fish) and Japanese char come best when grilled with salt. 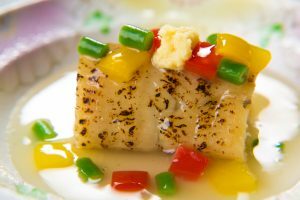 We serve charcoal grilled river fish best in the season. 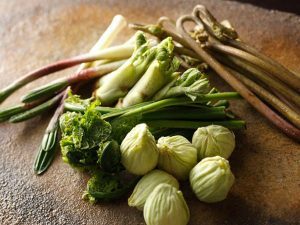 Hida Takayama proudly produce a number of wild vegetables such as butterbur flowered-bud (fukino tou), taranome, and udo. 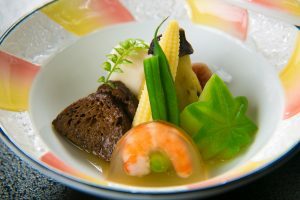 Local residents in the past made a number of unique dish from these vegetabless with, again, ingrediertns best suit the seasons. 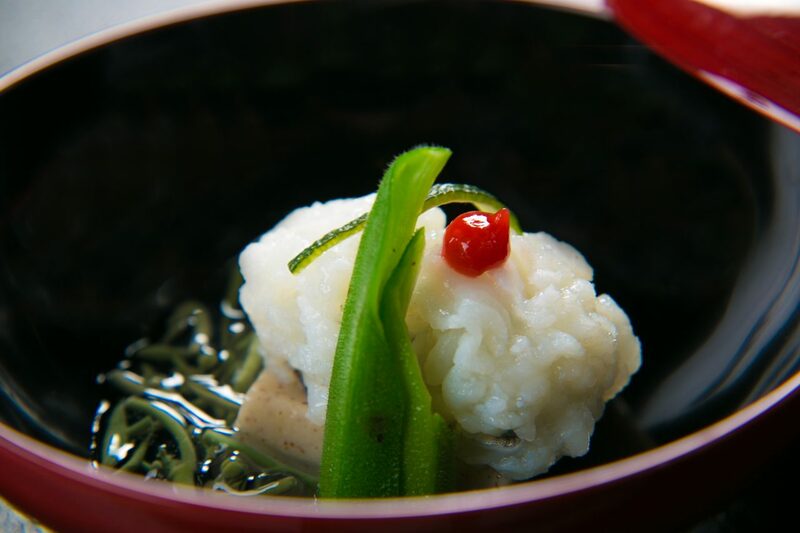 Be impressed by the flavoursome and fresh mountain vegetables. 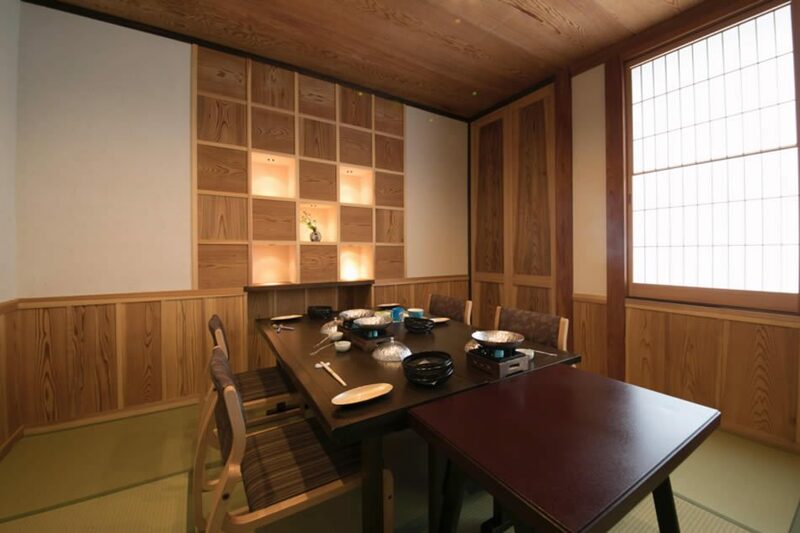 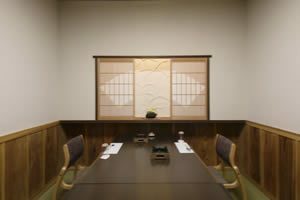 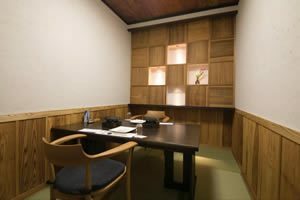 but in another private room in traditional Japanese style. My cooking philosophy is to utilize local food ingredients. 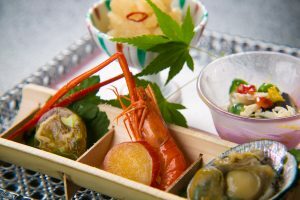 I believe this is the most delicious and healthy way to enjoy the fresh local food in that season. 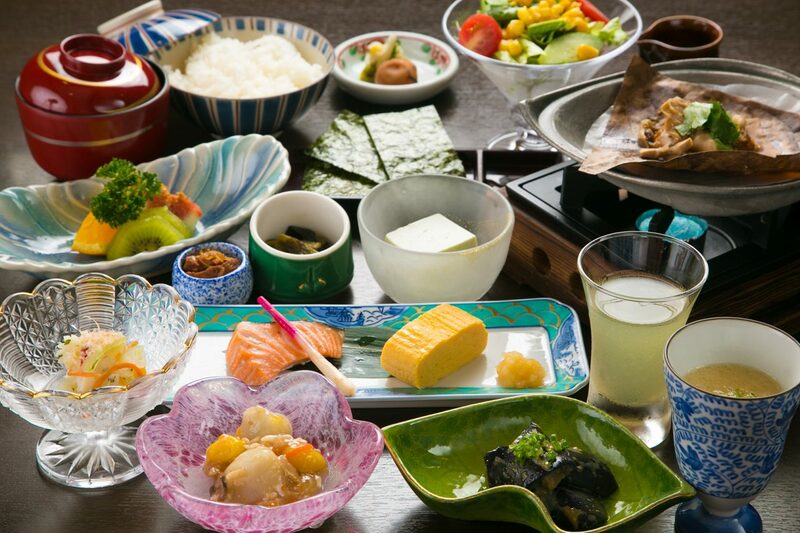 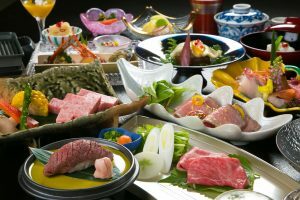 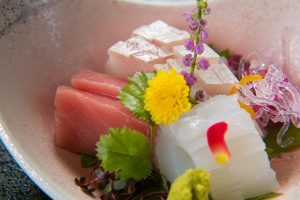 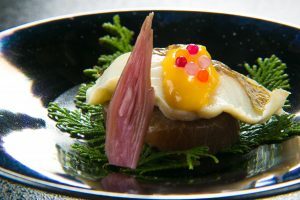 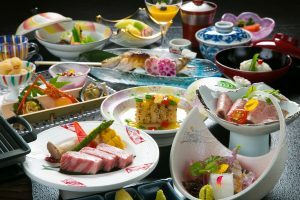 With various rich foods such as Hida beef, mountain vegetables, river fish, and many other local fresh ingredients, our cooking and food presentation are artistic and impressive. 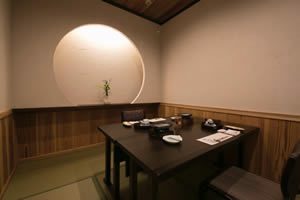 We serve all freshly cooked dishes with no delay so our guests enjoy hot food optimally hot, and cold food appropriately cold. 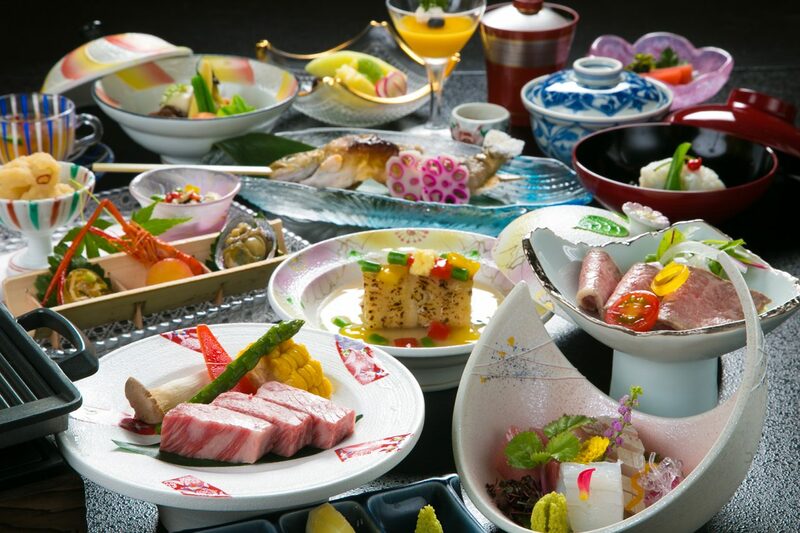 It would be our great honor if our guests could experience our hospitality from these finely prepared dishes. 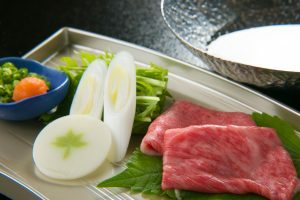 © Copyright HANAOUGI All rights reserved.